There’s nothing worse than discovering your home or business needs some kind of repair – expense, mess, and a lot of inconvenience generally come to mind right away! The Rooter Drain Expert Inc. can take away the sting of your next plumbing system repair in Saugus with our range of cutting-edge trenchless services, which are minimally invasive and take less than half the time traditional repairs require. Sewer camera inspections: A small high-definition camera is inserted into the pipe to correctly diagnose the problem, pinpoint its location, and deliver an accurate picture of required services to you, our customer. Drain cleaning and hydro jetting: Hydro jetting involves a jet of water at high pressure being injected into the pipe, cleaning kitchen grease and other debris. This is used prior to any repair service, as it gets rid of obstacles that will impede repair. It also allows a pipe lining to adhere successfully. A drain cleaning (similar to other forms of home or building maintenance) is recommended at regular intervals, usually about once a year. Trenchless pipe lining: A tough epoxy resin liner is forced into your pipe using high pressure. It lines the existing pipe and makes a messy, long-term removal job unnecessary. Trenchless pipe linings can line curved, straight, or 90-degree angle pipes, and can be cut to fit small or long sections, making them extremely versatile. Our pipe linings have a lifespan of up to fifty years, much longer than that of traditional materials. Trenchless sewer pipe bursting: For major repairs, this is often utilized in homes with older plumbing, both due to the need for periodic complete pipe replacement and because older pipes typically are smaller in gauge and require widening to meet modern needs. A torpedo, or bursting, head travels along the existing pipe, breaking it apart. New pipe line is attached directly behind the bursting head, and is laid simultaneously, all without having to dig into your foundation, yard, or parking lot. 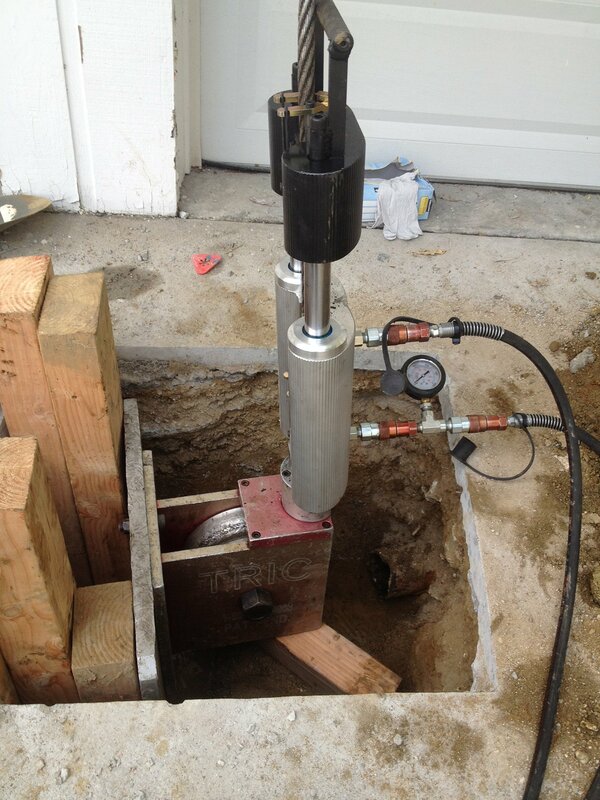 Typically, trenchless services are more expensive than traditional methods at first glance. However, these “cheaper” initial quotes fail to take into account the costs incurred from landscaping after your repair is completed, possible relocation to a hotel while your water is off and repairs are happening, and (if you are a business) the possibility of customers being driven away due to the eyesore of long-term construction. Don’t hesitate – contact The Rooter Drain Expert Inc. today for knowledgeable consulting and prompt, professional service! Located in Saugus and in four additional locations around California, we’re ready to meet your plumbing system needs!